In a case that is a good reminder of why journal editors shouldn’t ignore anonymous tips, a Seoul National University stem cell researcher has been forced to retract four papers, and withdraw another under peer review, in Antioxidants & Redox Signaling following a whistleblower’s exhaustive analysis. Two retractions by Soo Kyung Kang, a professor of veterinary biotechnology at Seoul National University, appeared on May 9 after an anonymous whistleblower sent a 70-slide PowerPoint presentation to the editors of ten journals that contained evidence of suspicious floating error bars, errors larger than actual measurements, pasted-together lanes in PCR gels and RNA and CHIP blots and several cases where the same control blot data is shown across different experiments and in different papers. In all, the whistleblower raises questions about 14 papers in the ten journals. In response to allegations brought forth by a reader of this Journal, I Soo Kyung Kang, take full responsibility as corresponding author and accept that some of the data presented in this manuscript (Im YB, Jee MK, Jung JS, Choi JI, Jang JH, Kang SK. Antioxid Redox Signal. 2012 May 15;16(10):1046-60) are not accurate. I retract the publication in its entirety from the scientific literature. A notice for “miR23b ameliorates neuropathic pain in spinal cord by silencing NADPH oxidase 4” on May 9 was identical. We want to make sure as few researchers are victimized on this as possible. On May 8th I was alerted by an anonymous ARS reader about possible “evidence for fabrications” together with an attachment highlighting allegedly fabricated data published in ARS from the laboratory of Dr. Soo-Kyung Kang (2,3). Review of the submitted illustrations led to the observation that the allegations were serious. I contacted the author requesting quick response. The author co-operated, accepting problems in the quality of data, but claiming error over fabrication. Dr. Kang also apologized for his/her lack of adequate oversight and sought retraction of these works (2,3). These publications were retracted on May 9th. As we were reviewing these manuscripts and related submissions, it was found that one manuscript (in peer review process) contained data which in the author’s response were “immature” and “uninspected”. On May 17th, this submission was promptly withdrawn from further consideration at the author’s request. The content of two other publications (1,4) by the same corresponding author was also found to suffer from data of questionable quality. This time the author contested some of the allegations and requested permission to redo some experiments to improve the quality of data in these accepted manuscripts (1,4). Because ARS does not accept changing data (beyond minor corrections) in accepted manuscripts and considering the overall situation, these manuscripts (1,4) are being retracted on May 17th 2012. It is beyond the scope of our Journal to investigate the matter at the institutional level in order to address “fabrication” versus “error”. I have brought the matter to the attention of the appropriate Dean responsible for Research Ethics at the Seoul National University requesting an investigation. Dean Lee promptly wrote back saying that they will conduct an investigation and keep me informed of the outcome. Whether error or fabrication, we are convinced that the published works rested on questionable data quality. To imminently protect ARS reader interest, the affected published works are being retracted. The works had to be retracted in its entirety because it was assessed that the inaccurate data sets undermined the entire work. One of the key responsibilities of the Journal is to provide quality information to its readers. The quality of published information may be compromised by a number of ways including error and unethical practice. ARS treats all submissions as being responsible until we have reliable proof to suspect otherwise. Once we have such proof, we are committed to moving swiftly to perform due diligence and to correct the record as applicable. I call upon our readership to be vigilant against irresponsible scientific reporting. It is because of your support that we could address this problem with the expediency it deserved. 1. Choi JI, Jee MK, Im YB, Kang SK. Novel GSK-3β Inhibitors and CBM-1078 Guide hATSCs’ Deaging Via Oct4 and β-Catenin Activation. Antioxid Redox Signal. 2012 May 8. [Epub ahead of print]. Withdrawn from publication in print. 2. Im YB, Jee MK, Jung JS, Choi JI, Jang JH, Kang SK. miR23b ameliorates neuropathic pain in spinal cord by silencing NADPH oxidase 4. Antioxid Redox Signal.16(10):1046-60, 2012. 3. Jang JH, Jung JS, Choi JI, Kang SK. Nuclear Ago2/HSP60 contributes to broad spectrum of hATSCs function via Oct4 regulation. Antioxid Redox Signal. 16(5):383-99, 2012. 4. Jang JH, Jung JS, Im YB, Kang KS, Choi JI, Kang SK. Crucial role of nuclear Ago2 for hUCB-MSCs differentiation and self-renewal via stemness control. Antioxid Redox Signal. 16(2):95-111, 2012. Sen deserves a lot of credit for acting quickly and decisively. He’s been in the midst of a fair amount of cleanup at the journal recently. 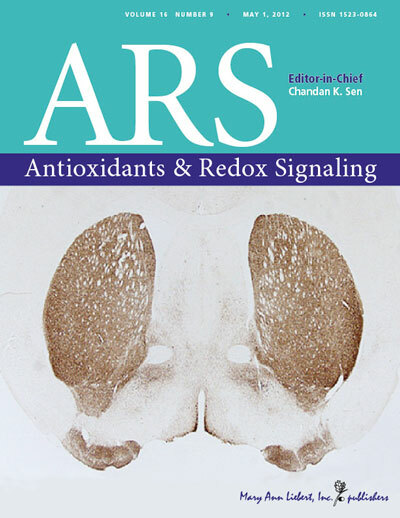 Dipak Das, the resveratrol researcher found guilty of more than 100 counts of misconduct by the University of Connecticut, was relieved of his duties as co-editor-in-chief when the results of that investigation came to light. We need more strong information about my researches. We have to try another experiment. Kang tells Retraction Watch she had not seen the PowerPoint slides, nor did she know anything about the data fabrication allegations. In the course of a seven minute conversation, and a few follow-up emails, she made it clear she did not want to discuss the issue further. I found fabrication by accident when I was reading journal published by this author. But the fabrication looked likely not simple error so I thought that all the data from this author would have some problem. My research is not connected with Stem Cell Research therefore I don’t think this author could be a indirect competitor. Unfortunately, I could not directly contact this author. If the fraud data were simple error I would directly contact and ask to make erratum. As you may know, most of the journals published by this author are involved and I saw very strong intention. That was the reason why I did not directly contact the author. I’m just a researcher and pursue truth of nature. I think those kind of fabricated data can be blinding the eyes of researcher and make them to spend years for nothing. Therefore, ethics in research is important. We are also aware of the paper retraction by Prof. Kang from other information source and accordingly our committee is taking peer review on the papers. We have received the Power Point presentation and we are currently investigating the allegations related to the publication in BMC Neuroscience. This investigation is confidential so I am not able to provide any more detail. I note that a paper in Cell Proliferation has been questioned by the whistleblower. I have question this journal. Several times I have tried to contact the editor of the journal, a C.E. Sarraf about potential publicates/unwarranted overlapping publications. Zbigniew Darzynkiewicz, but he couldn’t find her e-mail either. Some the publications on the list are by that editor. It is a bit odd. and from the literature in general? There is no statute of limitation. The list is not very long. It should not take that much work. Thank you for your e-mail. I was trying to communicate with Dr. Sarraf but it appears that her e-mail that I have address is incorrect. In fact, she seems to hide her e-mail address because I was unable to find it even through her publications or through her University webpage (?). I did not accept these articles with possible duplicates and in fact she is the author of some of them. I will attempt to alert the Publisher (Wiley). it is not only journals who ignore anonymous claims – university authorities don’t respect such anonymous complaints. it is sad that higher authorities don’t trust people who do really good work in identifying irregularities. Some of them, a while ago. They looked pretty similar to me. The point is that the journals should check them out. Abstracts are part of the publication, sometimes quite long, and are supposed to list the main points in the full article. Cell Proliferation only has a short list. The sooner journals started the task of comparing the articles picked (they are mathematically picked out because of a high degree of overlap) out by the “deja vu datatabase” the sooner it would be done. Some are warrnated, some you can easliy see are different, some are in a grey area, but many are near duplicates. If each journal dud its part the undergrowth would soon be cleared. LOL at this, Clare. One editor of a journal doesn’t know how to contact another editor of the same journal?! A likely story. Dr. Darzynkiewicz will “attempt to alert the publisher”? Maybe he will encounter difficulties contacting the publisher, too. They probably gave him a fake address and are hiding their real e-mail on their website. Since last August he has been looking, without success. Can’t stop laughing. Why do you put officially responsible people in difficult situations where they have to actually be responsible and deal with unpleasant stuff? Why state the case so baldly? “Why don’t you just do your job, dude?” Well, because the dog ate my homework. And he is hiding his e-mail address from me. Thanks for a welcome laugh this morning. I didn’t make it up, honest! Life is stranger than fiction. Zbigniew Darzynkiewicz seems like a nice person. Often they snap when you point out the extent of highly overlapping publications in their journal. Recently I have noticed Springer Press ( a German outfit) has been retracting medical publications like nobody’s business. I think we should give Springer Press some credit for that. There are many more, I get tired. some may have appeared on RW. Given the situation as it is a long time ago I resigned from the function of the North American Editor. I think that Clare Francis is doing a great service to scientific community going after the bad apples, plagiarism and falsification of data. So where can we see the 70-slide ppt file? About the slides. VERY IMPRESSVE! Congratulations to the person putting these slides together. I went through a phase of noticing that things were not right. When you see it 2 or 3 papers you become more confident. The problem is that many journal editors will simply not take a look at what is in their own journals, and find it offensive if you suggest that they look at the bigger picture. My first experience was with Bernd Pulverer, the editor-in-chief of the EMBO J, who was quite upset when other journal editors started to contact him. After intially praising my vigilance (he showed what I had pointed out at a conference in Singapore about scientific ethics as an example of what to look for in data manipulation), the next day ordered (as if he can) me to stop. He needed “time out” for purdah. When I look at the figures now I cannot tell what they did to most of them. I could spot a few manipulations. Bernd Pulverer will not say what has happened. I’m sad to hear this, especially from Seoul National University. I doubt there will be an honest internal “investigation” into research misconduct. but it’s entirely in Korean. Their English website does not have a corresponding page. In reply to JKR May 22, 2012 at 2:55 am. Why ” especially from Seoul National University”? I do not understand. You should be glad to hear the news. What is wrong with the verb “to be”. My reply to DS should answer your question. I doubt anything will come of this. Culture of covering up for one another is too strong in Korea. Just a note, nothing wrong with that. Am I missing something here? Soo Kyung Kang came from the same Institute (College of Veterinary Medicine) in the same University (Seoul National University) working in the same area (stem cells) as the infamous data manipulator and scientific frauster Woo Suk Hwang and yet she still carried on submitting and publishing papers with questionable images?? Well, hopefully she (Prof. Soo Kyung Kang) just made errors, and not intentionally fabricated the data. Her career seems like being in a total ruin considering the fact that her 14 papers are in question. Dr. Woo Suk Hwang’s been coming out of his career or reputation ruin some months ago this year, and this thing happened at Seoul National University again. It’s a shame, but I highly praise the courageous “whistleblower” on this new case of fraudulent academic case here at SNU. There is a proverb saying that “There is no fire without smoke.” I am not saying that all the academics at SNU are like them at all. However, it’s about time that SNU researchers (Seniors) should look into their attitudes as academics. SNU as a TOP academic institution in S. Korea should bring more people from outside who get higher quality of education in abroad with tight publication ethics and most of all “R-E-S-P-E-C-T” them! Until when highly capable researchers, who were educated from abroad in top quality of universities or research institutes are being treated so badly, and keep the attitude that “My way is highway?” In my opinion, there should be more whistleblowers regarding on other misconducts by many more senior researchers/Faculty members at SNU to clean up the current mess, and make SNU a better place to be regarded as the Top university in S. Korea. Not only the name’s sake, and the true place where Korean academics can compete at a global scale. As far as I am concerned with, this kind of problem can happen a lot more here if whisleblowers act upon. It’s difficult to see her errors as just mistakes, given that the powerpoint accompanying this article lays out the image manipulations very very clearly and convincingly. I, for one, am hoping she’d be forced to resign. So many “mistakes” would get a normal worker fired. Why don’t the authorities let them fall? Or would that show up the atuhorities for what they are, incompetent and primarily interested in their own power? I do not limit my comments to the south Korean authorities.